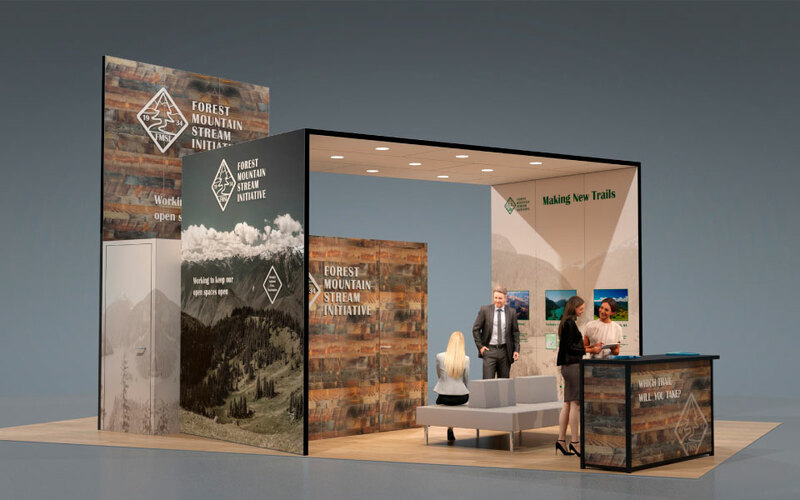 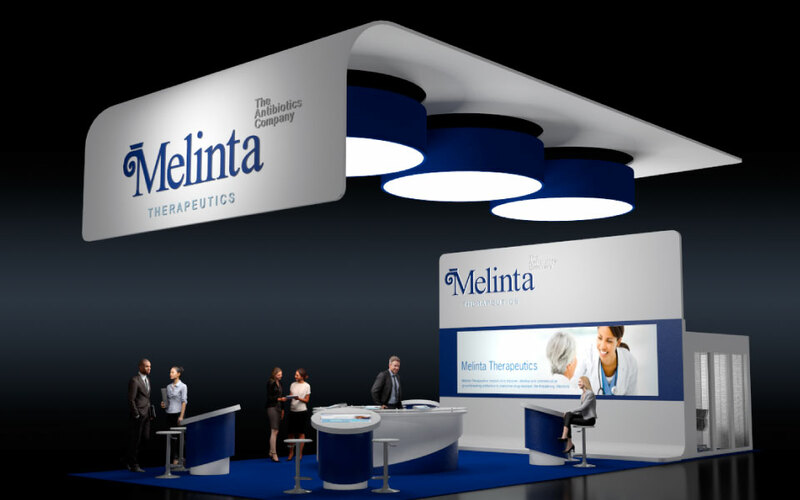 Custom trade show fabric structures can do more than identify your booth from across the hall. 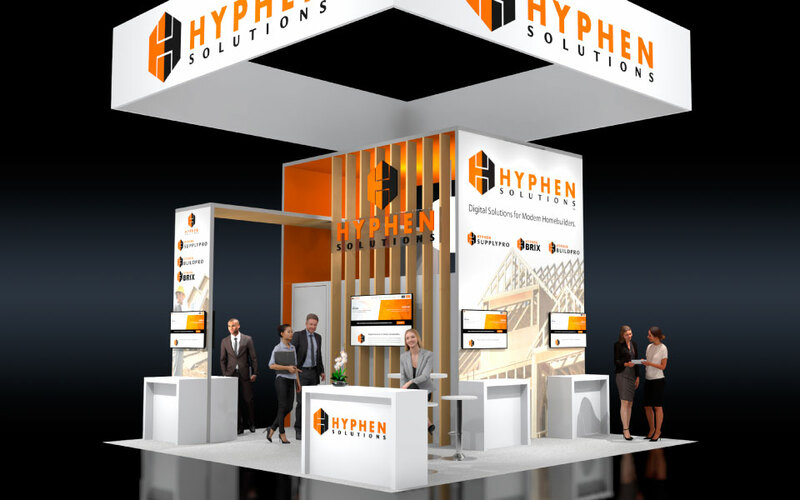 Large custom overhead signage can distinguish your brand while drawing show attendees to your exhibit space. 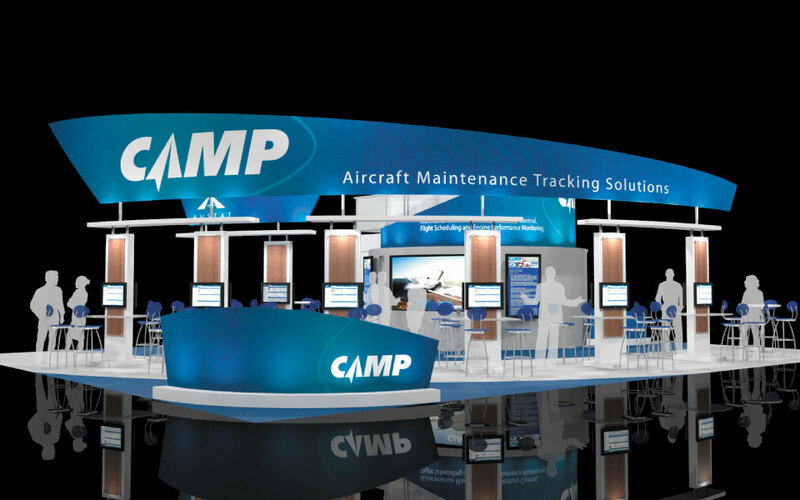 CAMP is a leading independent provider of aviation management products and services. 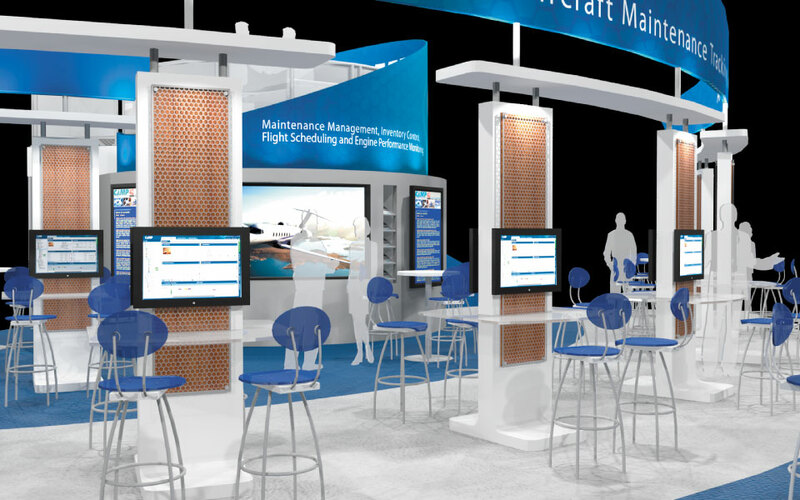 DisplayCraft provided a 40×50 island trade show booth design for their upcoming NAB show. 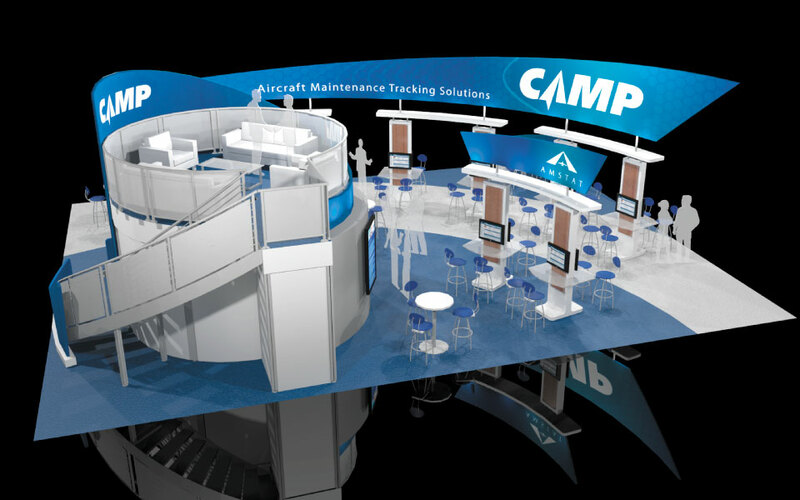 The exhibit design featured large swooping fabric structures which created the feeling of movement – much like a plane as it travels across the sky. 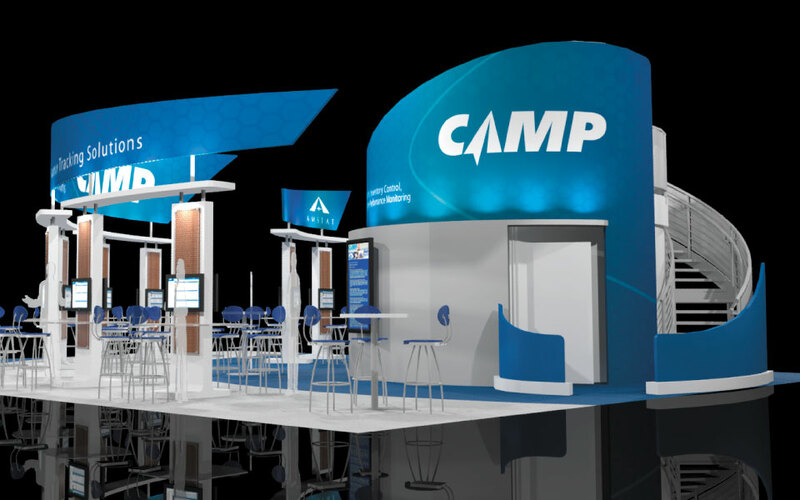 The main overhead sign displayed the CAMP branding and tagline. 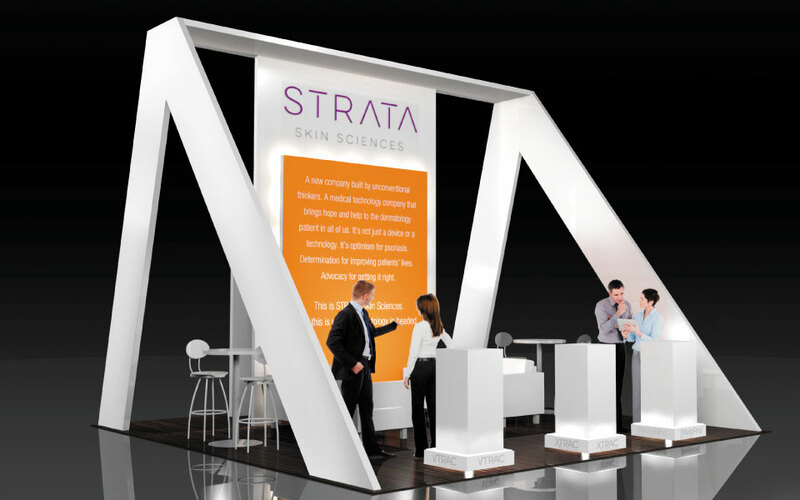 Six individual monitor kiosks supported the structure while serving as product demonstration areas. 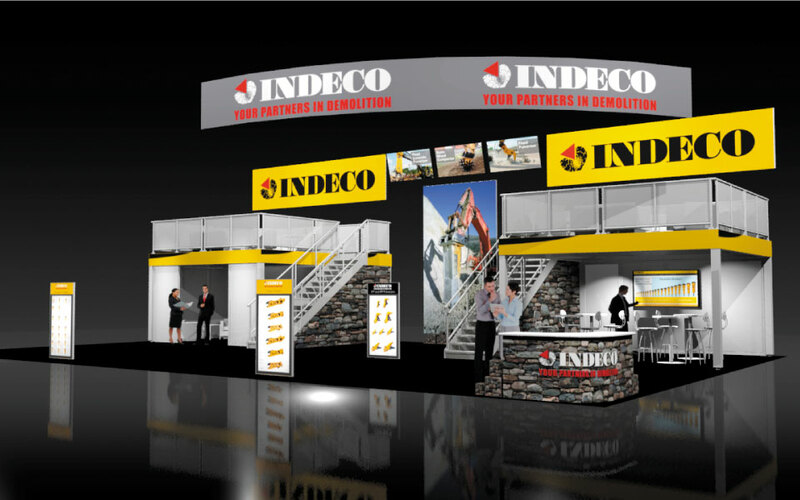 Repetition of shapes in the overhead sign, privacy wall on the corner marquee and the curved details found in the circular double deck unified the design. 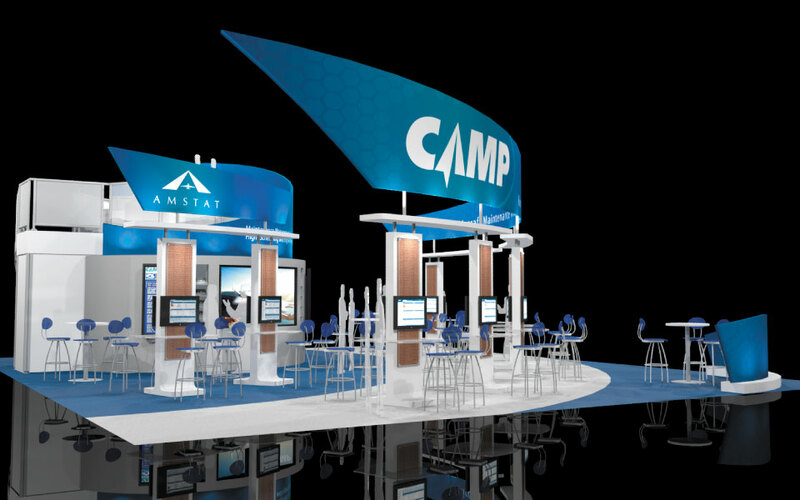 Finally, the combination of corporate colors, wood-tones, and stainless steel reinforced CAMP’s brand identity and position in the industry.